In-depth investigation and thorough analysis are, in an ideal world, the foundation tools of the forensic accountant. But in the real world of practical claims handling and litigation, information, time and resources can be limited, and it is often necessary for the accountant to give prompt advice based on partial information and evidence. 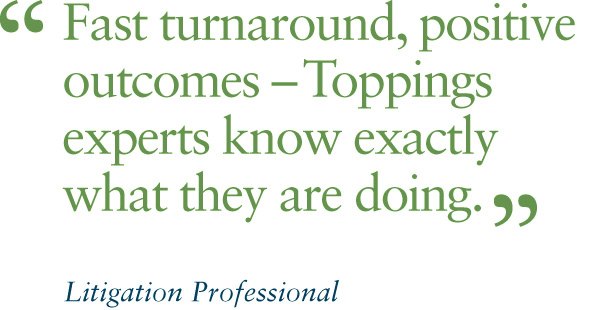 Whatever the circumstances, our clients know that Toppings have the experience and expertise to provide reports and advice they can rely on. 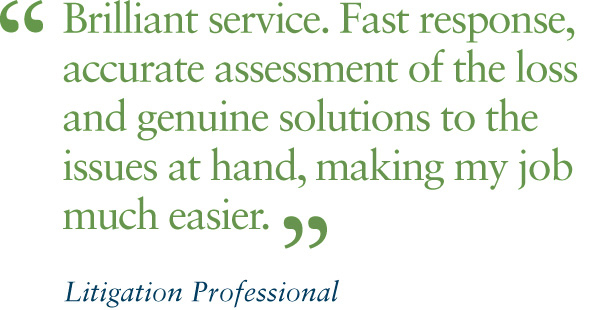 Toppings have been a specialist provider of Forensic Accountancy services since 1980. We provide advice and support in a wide range of claims - large and complex personal injury claims, business interruption claims and low value claims in the MoJ Portal. 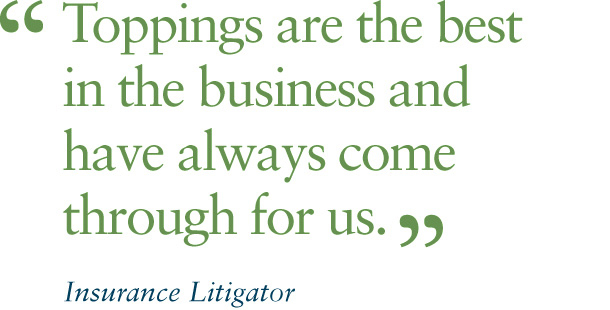 Our clients instruct us in more than 5,000 claims each year for loss of profits and earnings. The assessment of economic losses can be time consuming, challenging and perhaps even tedious for the non-accountant. Toppings save both time and trouble by presenting our clients with pragmatic solutions to difficult financial and accounting issues. This lets insurers and litigators focus on those issues where they are the experts. Insurance claims handlers and litigation professionals know that the practical objective of claims and litigation is to expedite realistic settlements. Toppings know how to help our clients achieve that objective across a wide range of claims - from Large & Complex losses to low value claims in the MoJ Portal - saving time, trouble and costs. "Toppings offer an in-depth and intricate knowledge and understanding of claims entitlement beyond those of even advanced handlers. When a referral is sent to Toppings I can have confidence that a fair and justified settlement is achieved." Toppings, Incom House, Waterside, Trafford Park, Manchester, M17 1WD. Legal Notice © Toppings. All rights reserved. This website is protected by VeriSign for your security using SSL so that only Toppings can process your details.